German school campus, Newport Beach is a Language School open to all children age 6-17 or if they are enrolled in a High School program. In German School campus students can earn the Language certificates they need for High School credit and can participate every year in the AATG- National German Exam for High School students. The National German Exam provides an excellent opportunity to highlight student success and promote the German program to school. 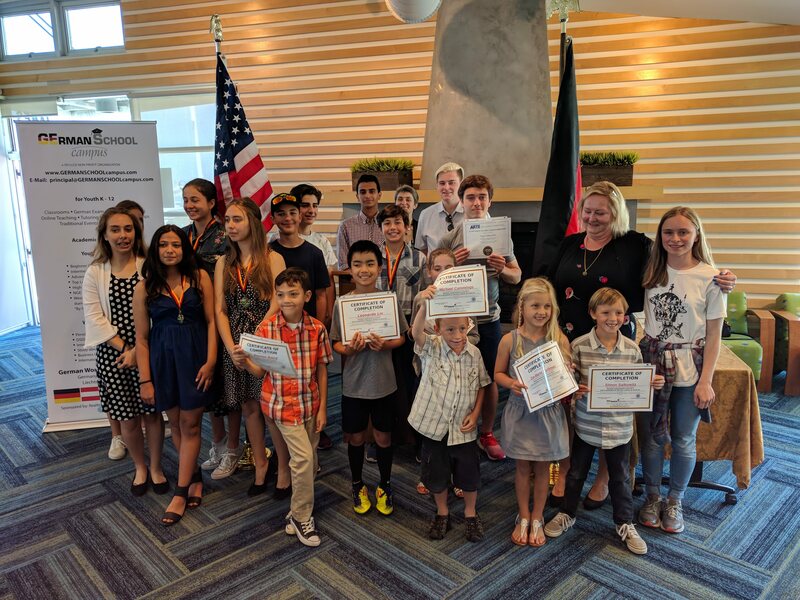 Recognizing students of the German Language at the special award ceremony every year and the schools honor program are wonderful opportunities for positive publicity for the German School program. The Exam is comprised of two parts: Reading and Listening and Viewing. The Exam material comes from authentic resources. The Exam has 100 multiple choice and matching questions on each Level. For over 50 years, the Federal Republic of Germany, through the German Foreign Office (Auswärtiges Amt) and its Pedagogical Exchange Service (Pädagogischer Austauschdienst), has provided the AATG/PAD Study Trip Awards, a 3-4-week trip to Germany in the summer following the Exam. Students attend classes at an academic High School stay in homestays, and participate in various excursions to places of cultural significance. and they did it! We proudly honored this year 2 students with Bronze and 9 students with Gold certificates and medals. 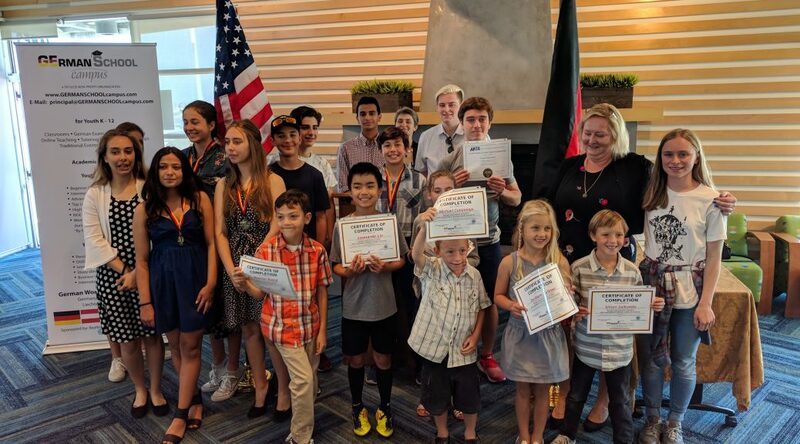 (FL), a devoted AATG member, to reward scholastic achievement in the study of German and to promote interest in the study of German language, literature, and civilization. Additionally, two students were honored who mastered the Goethe C1 Sprachdiplom in April 2018. A delicious breakfast was waiting after the ceremony and used the time to talk to the parents. All students made German School campus very proud this year! We said: “Auf Wiedersehen und viel Glück,”to those students who finished the German School program after many years of their commitment.